@ Book fair. Bradford. 2018. We did a one – off stall at an Anarchist book fair held in the 1 in 12 in Bradford 2018. We took a lot less than £30, so it actually cost us more to go and do it. We only ‘sold’ or ‘gave away’ literature that we had more than one copy of in the archive, and literature that we know other archives already have. We do it for the love of doing it, the communication, the sharing of our ideas, …NOT MONEY ! We will gradually bring you all 6 (yes 6 as number 6 was a special edition produced on Tyneside, entitled ‘Coal communities in conflict’ by Dave Douglas) of The Heavy Stuff in future posts, especially as we say, issues 4, 5, + 6 were produced locally. The Hockler. No 1. 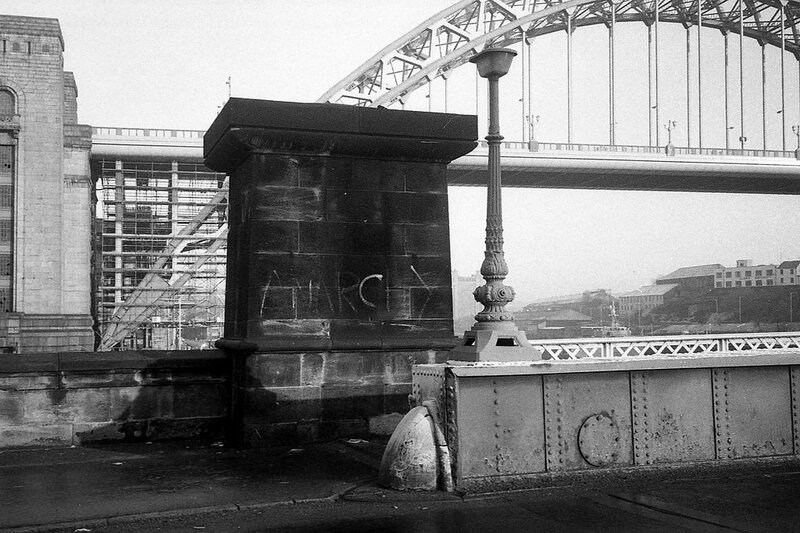 Tyneside. Autumn 1991. Only 1 issue produced. A3 double sided ‘paper’ produced by members of Tyneside Class War, and ( i am told ) was fly posted throughout the streets of Newcastle and North Shields etc, as well as given out during Class War street sales. I never did like the name then and still divint ! but there you go …. VIRUS No 11. mid 1987. magazine of the Anarchist Communist Federation. In the spirit of national editorial rotation, issues 11, 12, & 13 were produced in Newcastle. Issue 14 saw a name change of the magazine to ORGANISE. Continuing our series of local ‘anarcho-punk’ zines, we bring you Hope which ran from 1986 – 1989 and hailed from Gateshead / Newcastle. We have specifically been asked not to PDF them due to embarrassment, although we do have a PDF of number 2 which is available upon personal request …..
Hope number 4 was unreleased and was to be an all anarchist article zine, which clearly showed the authors move away from ‘anarcho-punk’ to more of a class struggle anarchist outlook. We have the few completed pages and cover in our collection. Anger Burning issue 2. November 2015. Tyneside. PROTEST . Number 3. Newcastle Upon Tyne. late 1983, early 1984.